On Sunday, April 14th we will be celebrating the Appearance of Ramachandra, or Lord Rama, one of the Supreme Person’s many avatars on earth. Our program begins at noon and prasadam will be served out at 1:30. Lord Ramacandra appeared during a previous age, Treta-yuga, and ruled as emperor of the world. A chronicle of His activities is presented extensively in the epic Ramayana, and concisely in the ninth canto of the Srimad-Bhagavatam, a biography of Krishna’s many incarnations. 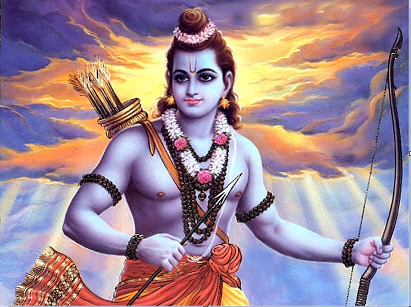 Ramachandra’s life is considered to be exemplary in every way. Followers of India’s Vedic culture see Him as the ideal king, the most powerful warrior, and the most faithful husband. It is said that He ruled His kingdom just as a loving father cares for his children. Lord Rama’s nobility, integrity, decency, and virtue are spoken of with reverence even today.